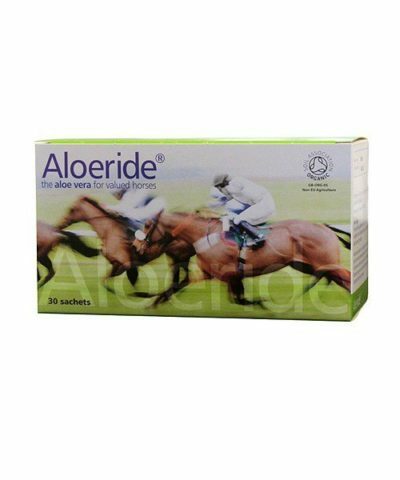 During a chat at a racing yard that uses Aloeride, banter moved from the benefits of Aloeride and the training of Thoroughbreds to a detailed talk about an injury sustained by a young jockey. When a racehorse jockey brakes his back twice, what can one do and what should one do? This page offers help. The header picture shows the old L5 pars fracture on the right. The gap you see isn’t a vacuum but a connection known as a soft callus; cartilage and fibrous tissue exist in the fracture gap between the broken fragments. The recent pars interarticularis fracture on the left also occurred at the L5 vertebra, the brightness confirms the inflammatory stage to be active when the scan was made. Imagine both left and right rein breaking at the bridle… where does that leave the horse’ head. Potentially out of control, so you can understand the jockey’s concern. It is called spondylolysis which is commonly the result of axial (vertical direction) loading of a spine in extension (bending backwards). It is a common fracture in adolescent gymnasts, in bowling cricketers and may occur in jockeys who become unseated. The jockey saw two Consultant Orthopaedic Surgeons and got two differing opinions. The first Consultant Orthopaedic Surgeon recommended internal fixation of the fracture. Placing a screw directly across the fracture site(s) and using bone morphogenic protein – a synthetic protein that induces the patient’s own stem cells to turn into bone healing cells – to speed up the healing process and increases success rate of fusion. Surgical repair typically takes about 3-6 months to unite but it may take longer. The young jockey neither had significant degenerative disc disease nor a significant slip of one vertebra on the other, hence was a good candidate for fracture repair. But some adults with bilateral pars fractures don’t develop lower back symptoms in their lifetime, many adults with bilateral pars fractures will develop degenerative disc disease and/or a slip of one vertebra on the other (isthmic spondylolysthesis). The thing is, so do people who have never fractured their spine or have ridden Thoroughbreds at any speed… A young daughter of friends of ours had titanium screws-rods fitted to correct her scoliosis. Her Consultant confirmed that her transpedicular fixation had broken – by doing yoga of all things – and she now faces revision surgery. Fortunately the jockey’s pars fractures would only need screw implants. The second Consultant Orthopaedic Surgeon advised a conservative approach. This is what unintentionally occurred after the undetected fracture on the right side. The fact that you see a gap, known as a soft callus, means that this didn’t go well: cartilage and fibrous tissue exist in the fracture gap between the broken fragments that prevented healing. It is not bone hard. My suggestion is that conservative treatment should consist of concerted efforts to encourage a hard callus to form. The advice given in this web page aims to help with what to do when a racehorse jockey breaks his back. In order for a fracture to knit back together 1) the two pieces must remain close enough together to be able to fuse, 2) minimal movement at fracture site encourages the formation of a hard callus (e.g. low-magnitude high-frequency vibration), 3) tissue pH, tissue oxygenation and micronutrient levels should be such to encourage/fuel healing. Fracture repair happens in three phases. The inflammation phase is the first stage: fracture > a blood clot forms which brings inflammatory cells to the wound area > a cytokine cascade brings repair cells into the fracture gap > these cells immediately begin to differentiate into specialized cells that build new bone tissue (osteoblasts) and new cartilage (chondroblasts). Over the next few months, these cells begin the repair process, laying down new bone matrix and cartilage. At this initial stage, osteoclast cells dissolve and recycle bone debris. The reparative stage is the second stage. Two weeks after fracture > proteins produced by osteoblasts and chondroblasts consolidate into a primary soft callus > in the presence (!) 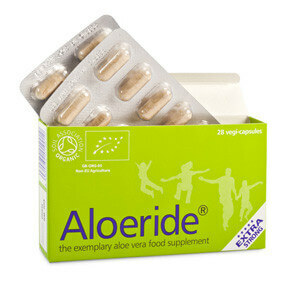 of micronutrients this hardens into a hard callus over a 6 to 12 week period. The remodeling phase is the third stage: the callus begins to mature and remodel itself. Woven bone is remodeled into stronger lamellar bone by the orchestrated action of both osteoblast bone formation cells and osteoclast bone resorption cells. Later into the reparative stage, gentle and strictly isometric muscle setting exercises help low-magnitude vibration over the fracture site. Note that the tissue formed (hard or soft callus) is determined by the microenvironment: high oxygen concentration and mechanical stability favours bone formation whereas low oxygen and instability leads to formation of cartilage. During the inflammation phase, when you are immobilised, you cannot boost tissue pO2 by fitness but you can boost it with daily alkaline clever smoothies in which sulphur-rich proteins (such as those found in fermented diary products) increase oxygenation of the body: add 3-6 tbsp flaxseed oil and 4 oz. (1/2 cup) cottage cheese or natural yogurt or 125ml milk kefir in the 1.6 pint (32 fl oz) Nutribullet smoothie. A ketogenic diet will increase your lung oxygen intake levels per minute as will Buyeko breathing. Inflammation is a very necessary phase but too much inflammation hinders healing. Nutrients such as vitamin C, bioflavonoids, flavonols (e.g. Quercitin and Proanthrocydins) and omega-3 fatty acids moderate the inflammatory cyclooxygenase enzymes COX-1 and COX-2. A 2006 Swedish hip fracture study found fracture patients given complex multi-nutrient supplementation containing protein, carbohydrates, amino acids, sodium, potassium, calcium, magnesium, chloride, trace minerals, and lipid soluble vitamins, had only a 15% rate of complications as compared to a 70% complications rate among the non-supplemented group. A Swedish meta-analysis of 17 such clinical hip fracture trials which reported that oral multi-nutrient supplementation (including nutrients such as carbohydrates, protein, arginine, zinc, and antioxidants) reduced deaths and complications from hip fracture by nearly 50%. A placebo controlled, multi-nutrient study from India administered vitamin C, Lysine, Proline, and vitamin B6 to tibial fracture patients. In those receiving multi-nutrient therapy, fracture healing time was reduced by approximately two weeks, with a larger percentage healing in 10 weeks (33%) as compared to the 11% in the placebo group. 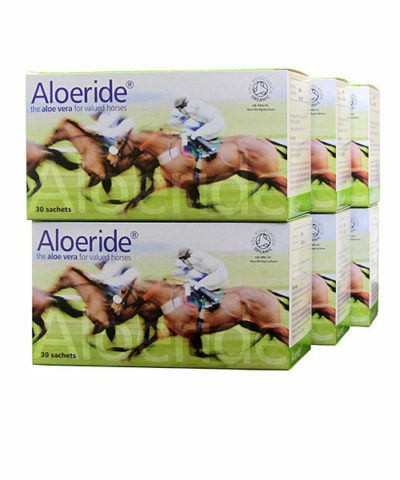 As an aside, aloe vera contains 20 of the 22 necessary and 7 of the 8 essential amino acids next to raft of other nutrients, hence why research found aloe vera to be helpful in fracture healing. A lesser known nutrient for bone health and repair is Boron (we obtain it from food primarily as boric acid H3BO3 which is naturally present in chickpeas, almonds, beans, vegetables, bananas, walnuts, avocado, broccoli, prunes, oranges, red grapes, apples, raisins, pears, and many other beans and legumes). Another such nutrient is inorganic Silica (best food sources for Silica again come from unrefined food, notably Equisetum arvense, but who puts leaves and stems of common horsetail in their smoothies… In April 2015 a report by Britain’s Chief Medical Officer Dame Sally Davies again highlighted the rise in rickets, a disease that many people would have assumed died out in Victorian times, with one quarter of infants –more in some areas– deficient in vitamin D. According to the American Journal of Clinical Nutrition, fractures can be reduced by 25%-50% via improving serum vitamin D levels. Magnesium, in particular, pays bone-health dividends by suppressing parathyroid hormone release and thus decreasing osteoclast activity. Vitamin K2 (MK-7) is a ‘Calcium chaperone’ and activates the protein osteocalcin which enables it to shunt Calcium out of circulation and into the bone, where it strengthens the collagen-mineral matrix. Bone stress reaction i.e. diagnosis with lumbar stress fractures is prevalent among cricket fast bowlers. From research published in the British Journal of Sports Medicine, it is interesting to note that there is no consistency in the relationship between pain and CT scan results. Which is why this jockey’s first pars fracture remained unnoticed until the recent scan. CT scans do not provide objective evidence for ongoing management or decision concerning return to sport in fast bowlers (cricket), nor does it in racehorse jockeys. 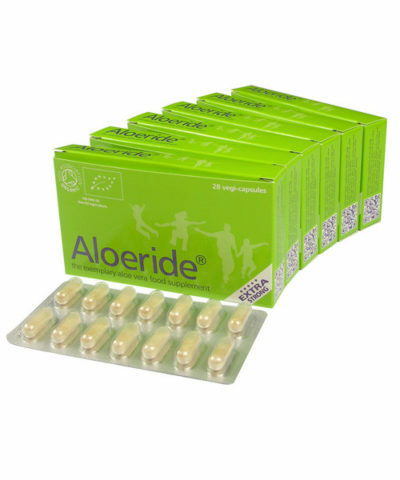 Taking 1 Aloeride vegicapsule 2-3x a day provides support for the skeletal system as well as for the greater uptake of nutrients from your diet. As you know, the definition of insanity is doing the same thing and expecting a different outcome. The thin ice with a conservative approach is that no comprehensive guidance may have been given to the patient about prevention. ‘See how you get on’ doesn’t cut it. A conservative approach should embrace 1) improving/maintaining mobility i.e. how movement is distributed throughout the spine so as not to get abnormal focal loading and 2) improving/maintaining bone density i.e. all of the above in respect of building bone that is as strong as can be and 3) improving/maintaining core stability, so that’s training. A pars fracture of course may be caused by ordinary misadventure, based on a practice with 5,600 patients however, I know that diet in youngsters may not give a spine all it needs to stand up to force. The greater your innate strength, the better you can cope with force. In a L5 pars fracture, after it has healed, you want to avoid overloading L5 and its L5-S1 joint level. This means that you want the spine above L5 to shoulder its proper share of mobility within the kinetic chain. The same goes for below L5 i.e. hip mobility, that is, the joint itself as well as the iliopsoas and hamstrings muscles. If there is any early morning stiffness then this may be overcome by dietary changes (all of the above) plus cardio-respiratory workouts. Your efforts to mobilise soft tissue will be more effective once early morning stiffness is sorted. The safest way to minimise L5/L5-S1 overload is with electro-acupuncture to visible contractions for a minimum of 20 minutes per treatment (apophyseal joint level L2/L3 – Bl23 Shenshu and apophyseal joint level L4/L5 – Bl25 Dachangshu; if you want to avoid L5 then use L2/3 and L3/4). Electro-acupuncture (pre)mobilisations must be followed immediately by active (mobilising) movement through the newly gained range. The most appropriate ones are those yoga exercises that allow you total control. Beyond that, osteopathic or gentle chiropractic mobilisations (not using L5 spinous process as a lever) may be possible later on when complete fracture healing is secured. Ultimately the range passive of range of movement must be covered by active movement, so you will have muscle control at every stage. Back lifts from a position of semi-lumbar flexion is safe to start with. Low crunches with your heels nearly touching your buttocks is safe to start with. Side plank on elbows is safe to start with. Rotation against resistance definitely is not good to start with because it uses the spinous processes as a lever. Chartered Physiotherapists with a keen interest in and knowledge of sporting injuries will know more exercises than you can shake a stick at. Merci beaucoup Elizabeth 🙂 S’il vous plaît, faites-moi savoir ce que vous ou vos chevaux auriez besoin comme aide. Sincères amitiés, Han.